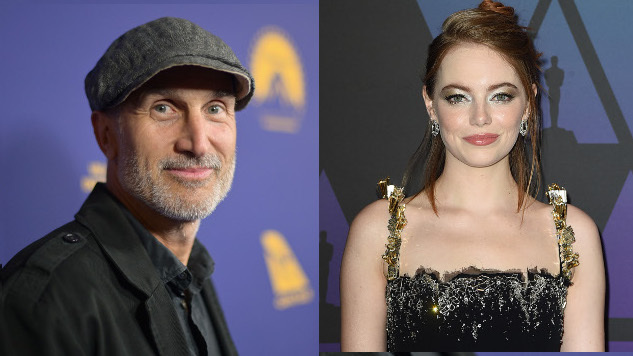 I, Tonya director Craig Gillespie is in talks to helm Cruella, Disney’s live-action take on the 101 Dalmatians villainess starring Emma Stone, per THR. Little is known about the project, although THR provides this rather intriguing description: “Stone will play infamous villain Cruella De Vil in what is being billed as an origin story, set in the 1980s with a punk vibe.” The character most recently appeared in Disney’s 1996 live-action 101 Dalmatians, played by a decidedly un-’punk’ Glenn Close. Mozart in the Jungle co-creator Alex Timbers was initially set in 2016 to direct the project, but had to back out after running into scheduling issues. Stone, meanwhile, is still set to star as the infamous Cruella de Vil. Andrew Gunn is producing Cruella with Marc Platt and Kristin Burr. It’s unclear whether the project is slated for theaters, as with Disney’s live-action The Lion King and Aladdin remakes, or if it’s headed for the company’s forthcoming Disney+ streaming service, as with its Lady and the Tramp reboot starring Tessa Thompson and Justin Theroux. Stone is currently in theaters as one of the stars of Yorgos Lanthimos’ The Favourite, while Gillespie’s latest, I, Tonya, won Allison Janney an Academy Award for Best Supporting Actress earlier this year.